Save Marinwood-Lucas Valley - our community, our future: Will Marinwood Lucas Valley become home to Refugees? Will Marinwood Lucas Valley become home to Refugees? While a growing number of Republican governors have protested the resettlement of Syrian refugees since the terrorist attacks in Paris last Friday, California Gov. 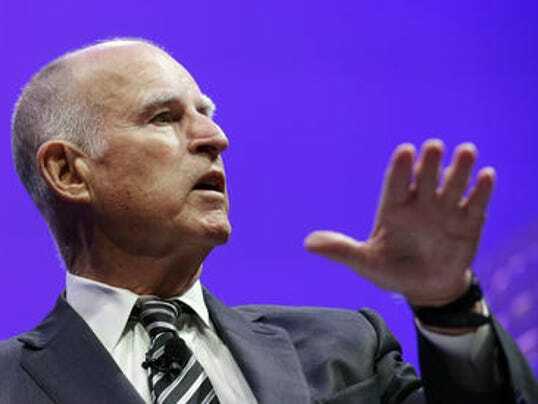 Jerry Brown said Monday he would not turn away those seeking asylum. “I intend to work closely with the President so that he can both uphold America’s traditional role as a place of asylum, but also ensure that anyone seeking refuge in America is fully vetted in a sophisticated and utterly reliable way,” the Democrat said in a statement to The Desert Sun on Monday. Over the past three years, California has accepted 17,664 refugees from throughout the world, by far mostly from Iraq and Iran, respectively. That comes from state-by-state data from the Office of Refugee Resettlement, part of the U.S. Department of Health and Human Services. Texas saw the most refugees over those same three years -- 2012-2014. The state welcomed 20,612 refugees, mostly from Burma and Iraq, in that order. The Paris attacks have reopened the debate over the Obama administration's decision in September to accept 10,000 Syrian refugees over the next year. The Republican governors have taken a range of approaches to the issue, but none has explained how they would legally keep Syrian refugees out. Whether states have to actively cooperate with those resettlements is another question, and that's where many of the governors are trying to exert leverage. President Obama didn't address the governors directly Monday. But after securing an agreement from industrialized nations to do more to help with refugee resettlement. he told reporters, "the United States has to step up and do its part." Read the entire USA Today story. Editors Note: Marin County Supervisors in their questionable wisdom voted to approve a housing element that places 80% of all affordable housing for unincorporated Marin in Marinwood-Lucas Valley. These big box developments may house 300-700 people.including new immigrants and refugees. We think it is a much better plan to build smaller developments instead of isolated islands so that our new neighbors will become part of our community. Sanctuary counties like Marin County face a difficult task in dealing with refugees since our law enforcement will will cooperate with the Office of Homeland Security only if laws are broken and a warrant is issued.